Big Cinemas, a division of Reliance MediaWorks Ltd, formerly known as Adlabs Films Limited. and a member of Reliance ADA Group is a theatre chain with over 515 screens in India, US, Malaysia, and the Netherlands. The company accounts for 10 to 15% of box office contributions of large movies. Big Cinemas also operates in the United States, and the circuit accounts for about 30-35% of Hindi features box office collections and over 70% of Tamil and Telugu box office collections from the US.In Malaysia, the company now has 66 screens that play Hollywood features as well as Chinese and Tamil films to cater to the 1.5 million Tamil population. The company is also working towards establishing a presence in Netherlands and has associated with Pathe Theatres to begin screening Indian movies. 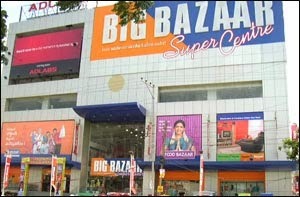 Big Cinemas Hyderabad has 4 screens. Labels: AdLabs, Ameerpet.Big cinemas, Big Cinemas Hyderabad, Cinema halls in Hyderabad.